Always give a shock as soon as a defibrillator is available, don’t give a round of compressions first. 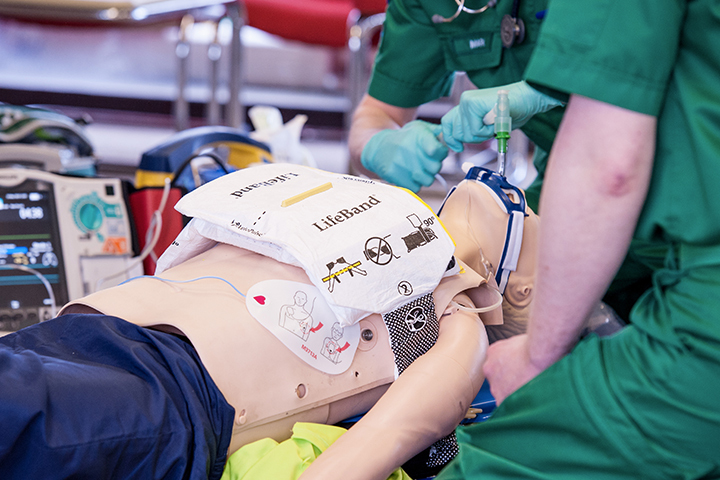 With initial VF/VT, wait with drugs until you’ve done 4 mins of Advanced CPR. In pregnant patients in cardiac arrest, perimortem caesarian should be initiated after 4 mins of unsuccessful CPR.